Explore the food scene, French culture, and architecture on this long weekend trip. Relax in luxury with only 4 or 5 star accommodations. Meet new friends and check out the cultural aspects of Quebec together. Enjoy luxury accommodations in the middle of Quebec City. Relax and enjoy stress free! Please do NOT book your flight until after the remaining payment date and after you have received a confirmation email. Day 1... Arrive in Quebec. Explore the downtown area on your own time. Meet for an included casual welcome dinner. DAY 2...Included full day private group tour of the region. We will be visiting Montmorency Falls, the Island of Orleans, and Old Town Quebec. Venture out on your own or with new friends to enjoy the nightlife. DAY 3... 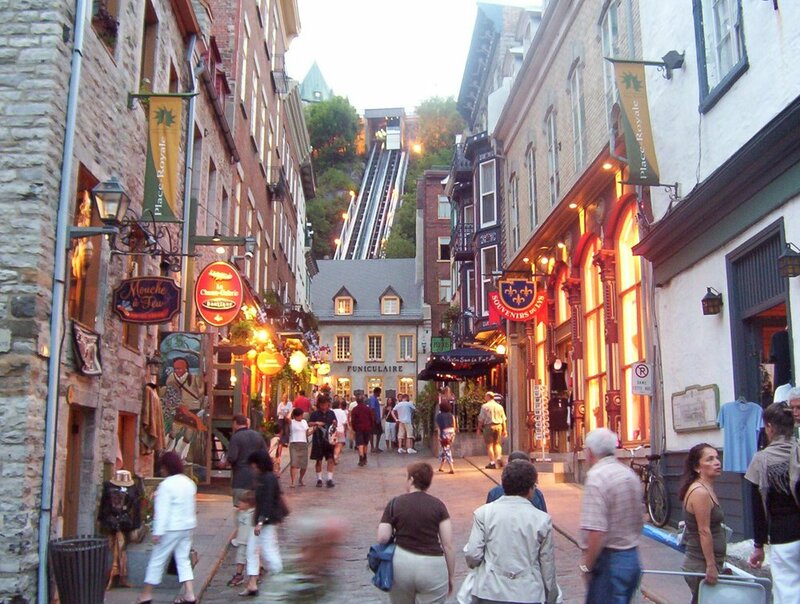 Explore Quebec on your own time or as a group and enjoy the social aspect of group travel. Join us in the evening for an included city food tour where we will be visiting many of the different neighborhoods and restaurants with a guide. Our trips and deposits are non-refundable unless cancelled by Language Social. Any changes made from the itinerary are at your own expense and any tours, hotels, transfers not attended will not be refunded.